Hi! My name is Julia, and I live with my boyfriend, Jesse, and cockatiel, Cocoa, in Boston, Massachusetts. 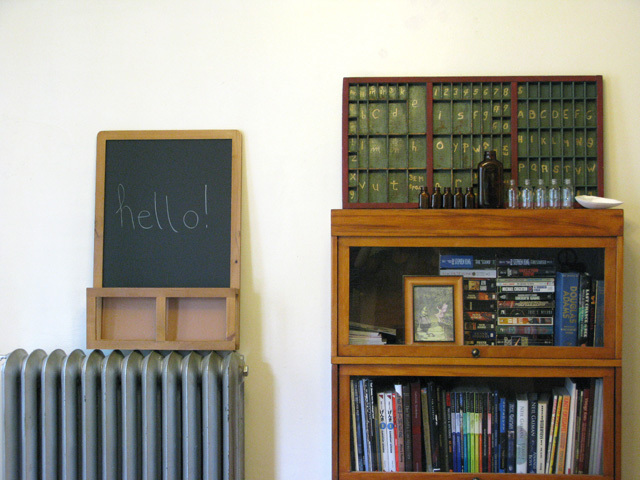 I've lived in Boston for the past six years, and we just moved into our new home last April, and we've had a lot of fun making it a cozy place to live. I hope you have fun taking a look around! While doing this I tried to think about the things Anabela might take photos of, hopefully I'm right! 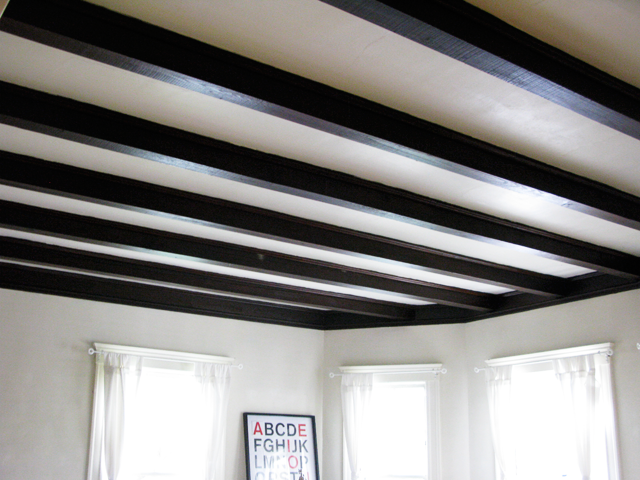 My favorite part of the whole house is the ceiling in the living room, which has exposed beams. I grew up in New England, so these kinds of details really appeal to me. One of the problems we have run into while setting up our place is the excessive amount of radiators. We don't have many straight walls, and those that are straight usually have a big old radiator right in the middle of them. Initially I didn't like them at all, but I've found that I like the look of putting a huge picture on them. Jesse and I like to play a lot of games. 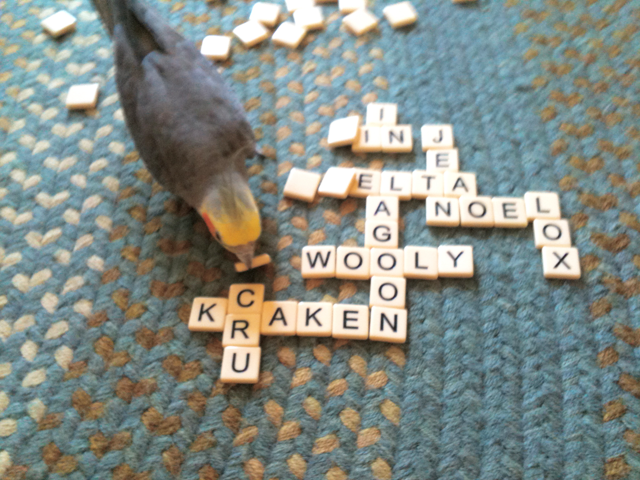 Recently we purchased Bananagrams (which is like Scrabble, yes, we're nerds), and have found Cocoa likes to join in and play too : her version of playing includes flipping over the tiles. The braided rug is from my parents, apparently my Dad went through what he calls a "braided rug phase". We have one large blue one in our living room, and one smaller red one in our kitchen. This is our kitchen. 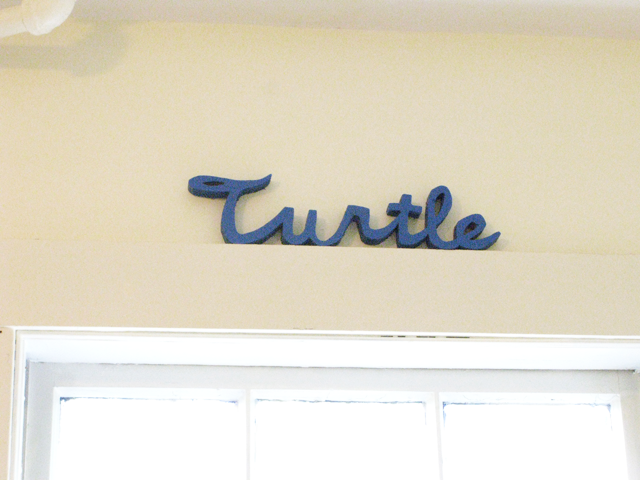 This wood carving of "turtle" is one of my favorite things, it's one of three similar carved words I have. One of my best friends from high school carved them for me when I graduated. They reference silly inside jokes we had. I always think no one will notice them, but it's actually one of the first things people like to ask about. My on the go knitting bag, I rarely leave home without it. Every doorknob, chair, or drawer always has some bag hanging off of it, but I guess that's to be expected! 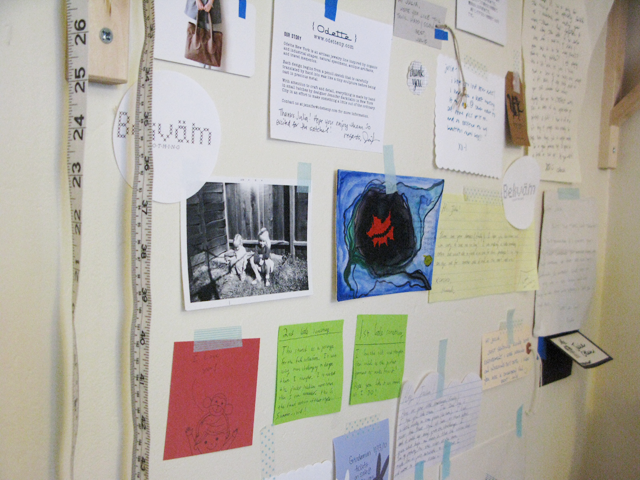 I like to put up all the written notes I receive in my studio space. It's nice to think about all the people out there that I have been lucky to connect with because of work and blogging. Thanks so much for having me, hope you've enjoyed it! Julia is too cool for school! So is her home! Wow! Oh my, I am so very jealous of that kitchen!! Her kitchen is so very awesome, all that light! So are the exposed beams, patterned ceilings without even trying! 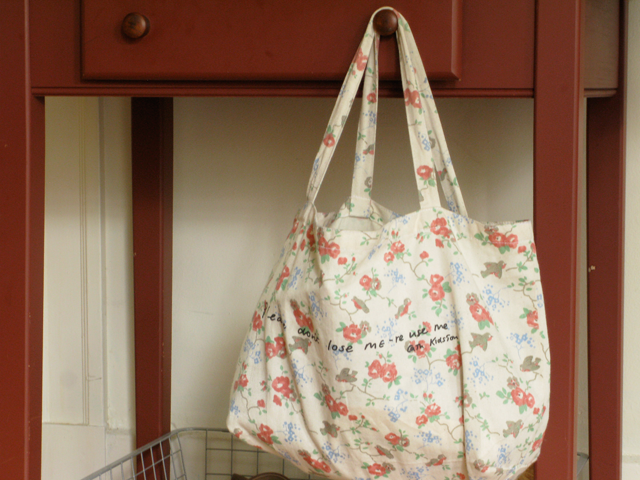 My rennes bag is my most prized possession, and Julia's house is exactly what I would expect it to be - amazing! 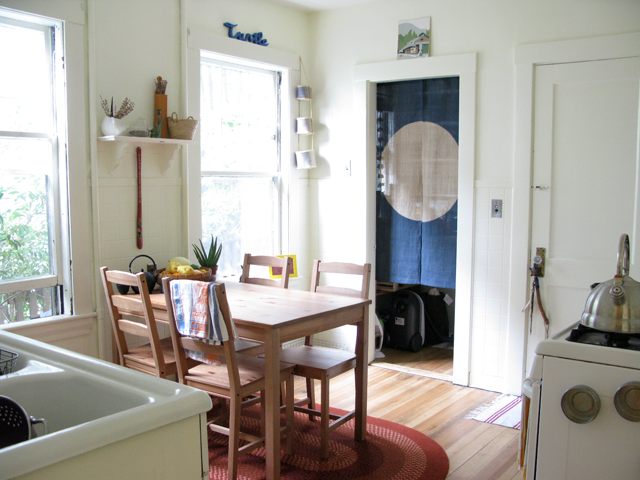 beautiful post, and totally fantastic kitchen!! simply beautiful, just like julia's bags! I love that ceiling! 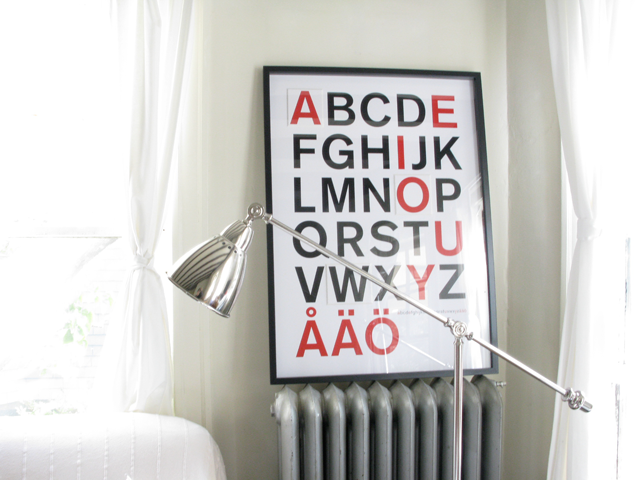 It transforms the whole apartment! Julia, you rock! So does your bag that I never leave home without! yay, a parrot lover! i love her turtle carving because i happen to be pretty obsessed with turtles. Ahh what an amazing space! Absolutely gorgeous space - thanks for sharing!